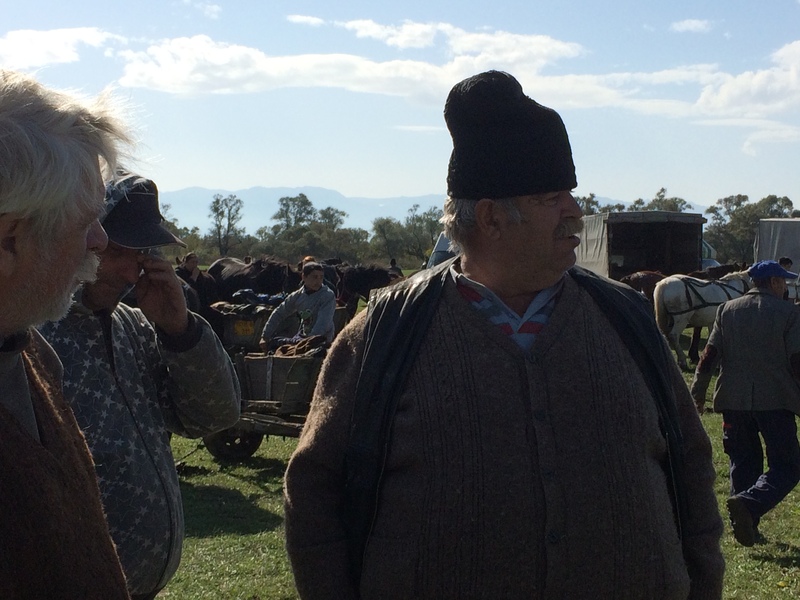 October 15 is the date of the annual market in Halmeag, which we call târg. Probably you don’t see this kind of markets anymore in Europe, but in Romania you still can. If you have piglets for sale or cabbages, the rigging of a horse or just want to have a good time and talk with other locals, the annual market is the right place to be. Preferably you go there with your own cart and horse and park the cart in a field. In Halmeag we have two markets, one on April 15 and one on October 15. Especially the one in October is nice because the weather can be great, 20 degrees, blue skies and a lovely view over the Fagarasian mountains. If you want to do it properly, you go to the bar of the village in the afternoon and get drunk with the villagers while their herd of sheep is waiting to go home. Which horse riding holiday do you want to have information about? Please write down your request, track, date and number of persons.